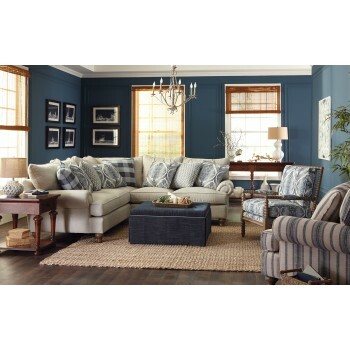 This casual sectional is one of our favorites, and is a best seller,too. Its generous in scale and features an armload of pillows to curl up on and relax on. 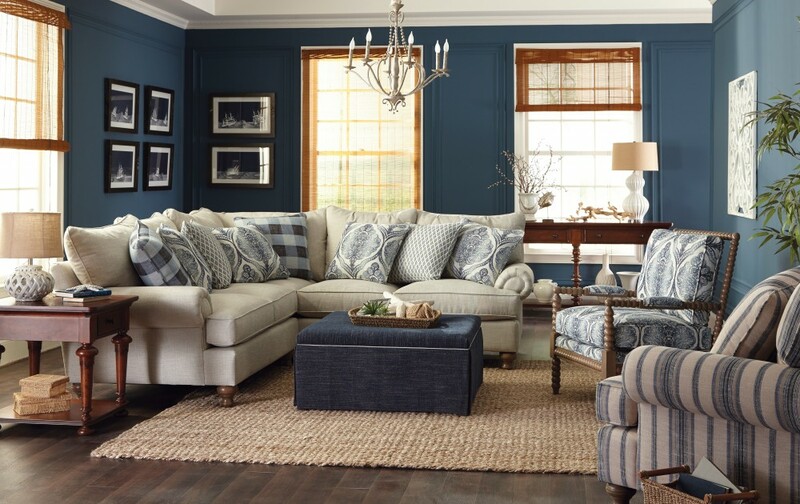 Loose pillow backs, rolled arms, and turned wood legs give it a laid back casual look. Down blend cushions wrap you in comfort. 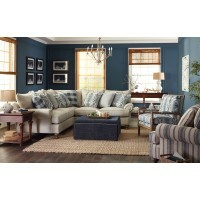 Available is a large variety of fabrics!